In 1907 a collaboration between the dynamic president Theodore Roosevelt and renown American sculptor Augustus Saint-Gaudens resulted in new designs for both the twenty dollar gold coin and the ten dollar gold coin. 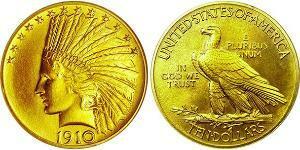 The new design on the eagle featured a native American on the obverse, and a standing eagle on the reverse. The Indian was modeled after the figure of Nike (representing Victory) that was part of the Saint-Gaudens’ equestrian Sherman Monument located at the entrance to New York’s Central Park, and the reverse was a representation of America’s symbol, the bald eagle. While the sculptural effects of the original designs are admired (most noticeable on the Wire Rim and Rounded Rim pieces initially produced), the representation of Liberty adorned by a ceremonial headdress not worn by female native American was incongruous; and the eagle, though dramatically posed, is not an anatomically correct representation of a bald eagle (the legs are longer, for example). Artistic license aside, a greater problem for the Mint was the reality that the raised edge of the first Indian Head eagles would not stack, and the modified rounded rim pieces apparently would not strike with satisfactory quality. It was left to the often maligned Mint Engraver Charles Barber to make additional changes (he had also changed the raised rim to the rounded rim) so that the Indian Head eagle could be produced efficiently and in sufficient quantities for commerce; or as one scholar described it, “turning unusable designs into something practical.” Barber’s efforts are often criticized, but the changes were successful in terms of production, and hundreds of thousands of the eagles were minted in the first two years of the type. The first Indian Head eagles omitted the motto IN GOD WE TRUST, which appeared on the previous Liberty Head eagle, and which was in fact mandated by the Act of March 3, 1865, but left off by Saint-Gaudens. Many commentators attribute that omission to the sheer willpower of Teddy Roosevelt, who apparently believed that placing religious sentiment on circulating coinage was a form of blasphemy (the same coin that showed up in this week’s offering plate might be on the gambling table next week). Congress disagreed however, likely encouraged by strong public opinion, and the motto was added to the reverse for issues produced later in 1908. In what was perhaps a tribute to Saint-Gaudens’ artistic skills, Bella Lyon Pratt used a virtual copy of the gold ten dollar reverse eagle in his designs for the quarter eagle and half eagle gold coins of the same era. Indian Head With Motto eagles were minted yearly from 1908 through 1916, but none were minted from 1917 through 1919, 1921 through 1925, 1927 through 1929, or in 1931. 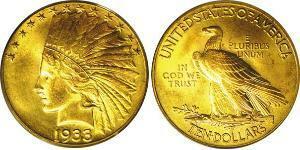 Though over 300,000 With Motto Indian Head eagles were minted in 1933, the last year of the type, most were melted prior to extensive distribution after President Franklin Roosevelt’s April 1933 Executive Order 6102, which severely limited the possession of gold by U.S. citizens. Liberty faces left on the obverse, wearing a many-feathered bonnet which displays LIBERTY across the front. Strands of flowing hair appear below the headdress at the forehead and across the side to the back. Thirteen six-point stars form an arc inside the top third of the raised rim above, though slightly touching, the feathers of the headdress. The date is centered at the bottom, crowding both the portrait and the rim. On the reverse a majestic eagle faces left and rests on a bundle of arrows with an olive branch intertwined. Inside the raised rim is UNITED STATES OF AMERICA at the top and TEN DOLLARS at the bottom, the words of both legends separated by centered, somewhat triangular dots. At the upper right, above but touching the eagle and below OF AMERICA is E PLURIBUS UNUM, each word on a separate line; to the left of the eagle is IN GOD WE TRUST, also in three lines. The edge has 46 raised stars through 1911, and 48 stars from 1912 forward (the stars representing the number of states in the Union). No Motto Indian Head eagles were minted at Philadelphia, Denver, and San Francisco; D and S mintmarks are to the left of TEN, below the tip of the olive branch, with the bottom edge parallel to the curved rim. 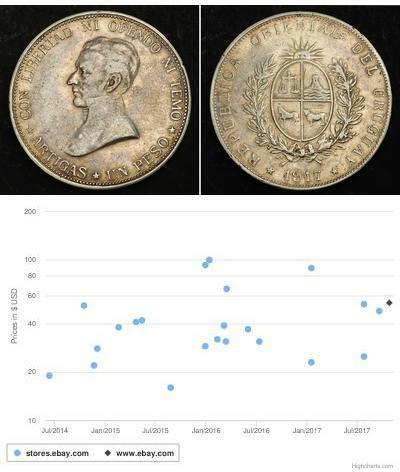 Circulation Mintage: high 4,463,000 (1932), low 30,100 (1911-D). 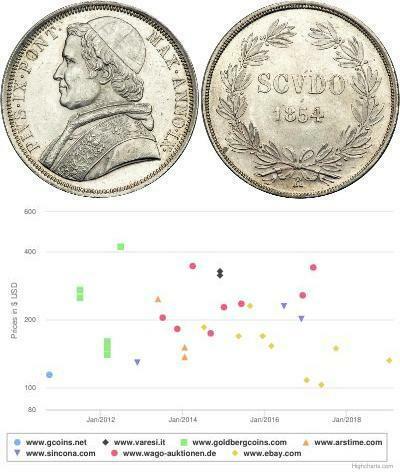 Mintage figures may not accurately reflect availability, due to gold coin recall and melting. Varieties: A few minor die variations have been identified.